And here is a referral link for you to save on trading fees. 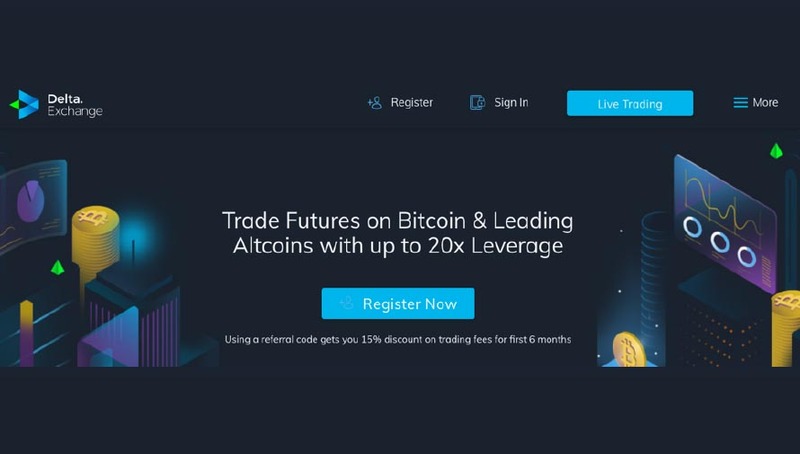 Delta Exchange Referral Link – 15% discount on trading fees. Delta is a cryptocurrency futures exchange. It currently offer Futures Contracts that have cryptocurrencies as the underlying commodity (e.g. BTC, ETH, XRP and XLM). On the exchange, all trades are settled in BTC. Delta Exchange is committed to providing fair trade practices to all its clients and aims to be transparent about various exchange policies #TradersFirst. There is an initial registration via email. Email is verified via a link. You are required to deposit existing bitcoins to start trading. Two factor authentication is supported for login. Trading dashboard is similar to existing online trading platforms and makes trading a breeze. Here are a list of features that i found useful. trend chart of the cryptocurrency prices. Charts of multiple price indicators over various time intervals. Trades done in USDT units. Easy interface for sell/short or buy/long and leverage. Actual trades done in bitcoins. Many more features are underway due to a strong technical foundation of the exchange – like 24/7 availability, high reliability and greater liquidity. I was also impressed with the user experience on the platform – in line with standard online trading platforms and promise for more innovation. Finally about the referral. If you register via the referral link, you get 15% discount in trading fees for 6 months. This discount will be applicable on the actual commissions paid by the user, after adjusting for any other promotional discounts. But Why CryptoCurrency Futures ? With leverage, you don’t need big moves to capture a nice profit. Rather, small moves are magnified. Another advantage of margin trading is that it allows the trader to short the price of the cryptocurrency. This means that they can make money on the fall in the price of the asset by short selling it. It is more secure because owning a future does not mean you need to own an actual coin, which gets rid of the risk of hacking and theft. Futures exist within a well-defined legal and operational framework, as it offers transparent reference prices and increased liquidity.